I’ve almost recovered from the ten hour drive home yesterday from Provo, Utah, where I got to see my daughter–now a junior at BYU–and attend the LDS Storymakers Conference. I came back with a wealth of information, particularly on the marketing side of writing (everything from online presence to designing a story with wide mass market appeal)–but more about that tomorrow. For now, I want to applaud those who put this conference together. I attended last year for the first time because I was a Whitney Finalist and had been asked to participate in a panel discussion on Self-Publishing. At that time, honestly, I felt like a fish out of water. First, I wasn’t from Utah and all the Utah writers seemed to know each other well. Second, I was self-published and those who are self-published can’t help feeling a little embarrassed about it (though this may be changing)…as if they’re playing in the Minors, not the Majors. Third, I’d gone to two Maui Writers Conferences (as well as a Maui Writer’s Retreat) and the San Francisco Writers Conference, and understood what it felt like to socialize with fellow writers, but I simply was not used to being around SO MANY Mormon writers. To begin with, participation almost doubled. (In fact, at this rate, conference organizers may have to look into changing their location for next year.) True, they were almost all still members of the LDS Church, but this time around I met many from other states. I’m certain Utah still dominated, but word of the conference had obviously spread to all corners of the country. This year, I also knew many more fellow Mormon writers through my participation in ANWA (American Night Writers Association…a support group for women writers in the Church) and the Northwest Writers Retreat last October (highly recommended to any of you, whether you’re from the Pacific Northwest or not…it’s a great retreat). In other words, I had friends! 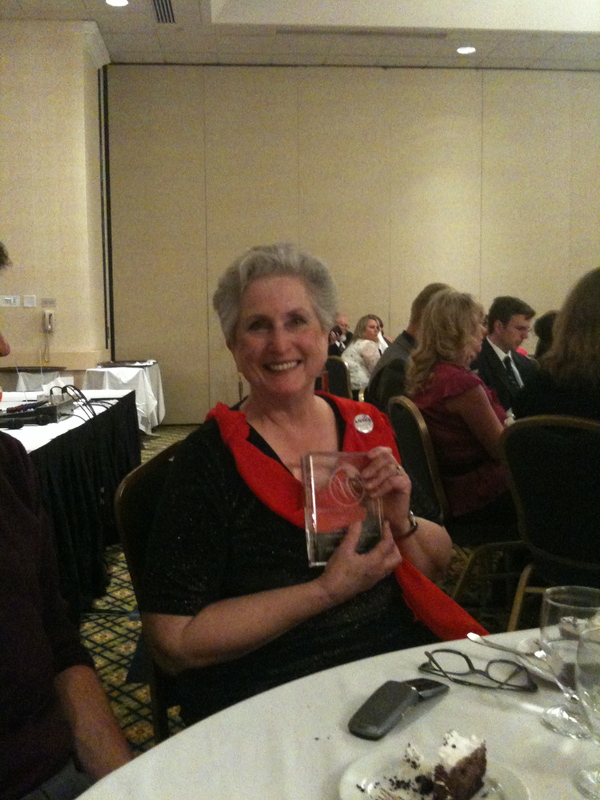 And one of my best friends, Liz Adair, won the Whitney Award for Romance (well deserved). Also, I participated in the whole conference this time, even serving as an instructor at Boot Camp. I’m so glad my online critique groups–“Moonwriting,” which meets monthly, and my smaller group of “Writeminded” friends who get together weekly–helped to hone my critique skills before this experience. Finally, with the growing numbers of LDS writers on the national scene, this year brought some nationally known publishing professionals, like Laura Rennert with Andrea Brown Literary Agency, and opportunities to pitch stories to the national market (more my thing), moving clearly beyond the LDS market. I believe, and hope, the conference will continue to expand in this direction. As it does, writers of all backgrounds–Mormon, or not–will feel compelled to attend. So consider this a big thumbs up to all those who worked hard to pull this conference off.